I have another giveaway for you today for all you Nail Polish addicts! I have teamed up with Coty and have the whole collection of the new Rimmel's Lycra Pro Nail Polish Collection to giveaway to 23 Perfectly Polished readers! There are 23 polishes to giveaway priced at £4.59 each and the colour ranges from Hot Pinks, Coral Reds, Nudes, Greys & Brights! These are all gorgeous colours perfect for Spring/Summer. The Nail Polish colours will be selected at random and winners will be picked using random.org. I have decided to award 10 bottles to a GFC Subscriber, 10 bottles to a Twitter Follower, two bottles to a Facebook Page Fan & One bottle to a Newsletter Subscriber to make sure everyone gets a chance! This is open to all Perfectly Polished followers world wide and shall close on 17th February 2012 at 11pm (UK Time). 1. You must follow Perfectly Polished through GFC, 'Like' Facebook Page, or Subscribe to my monthly Newsletter or follow on Twitter. 2. If you subscribe to all four then you have more chance of winning! 5. For extra entries publicise on your blog or website and post the link in the comments below. 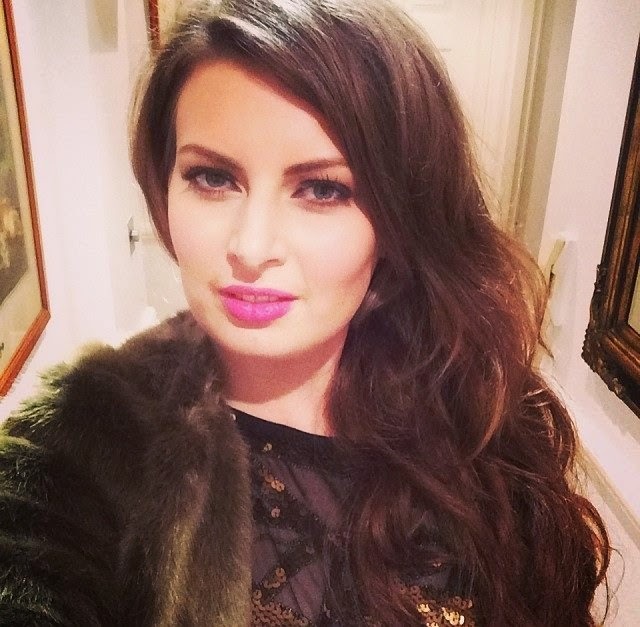 I have been shortlisted for the Marie Claire Twitter/Blogger Awards please vote for me. oooh great giveaway, Ive tweeted and Im a follower. Oooh, lovely giveaway. I've never tried their nail polishes. Great contest for a polish addict like me! Hiya hun :) i already done all 4! Email: ciara-leanne@live.ie - subscribed to newsletter. Thanks for the chance to win and good luck with the Marie Claire awards! I also tweeted about the comp = 3 entries. I like you on Facebook and GFC. So I basically did everything, I really want to win this! Thanks for these give away & goodluck to us! Hi, i'm your new following and have advertised your Giveaway, I love it when I find fellow UK bloggers!! Follow you on GFC (JenLa) and Twitter (@jen__la) - I've tweeted too. Also tweeted your giveaway =]. I'm subscribed to your mailing list and I think I'm subscribed via GFC. I liked you on fb : Briana G.
You must follow Perfectly Polished through GFC, 'Like' Facebook Page, or Subscribe to my monthly Newsletter or follow on Twitter. I seem to have an obsession with all things nails lately!! & Just signed up for your newsletter! What a fab opportunity, thanks for the chance to win. Following your twitter and tweeted your giveaway! Hi, I follow on GFC as Nicola B, Twitter as @heylinguine and I´ve subscribed to your newsletter - heylinguine at gmail dot com. Thanks for a fab giveaway. Keeping my fingers and toes crossed! Could do with some new nail polishes so keeping my finger and toes crossed in hope! Follow everywhere :) thanks for this chance! another amazing giveaway - i love you! already doing all 4 - FB - Rachel Collins, blog - Rachebella - Twitter - @Rachel1383 and subscribed to newsletter with klara1383@hotmail.com. Rting as much as I can too! many thanks again, and good luck for your blogger awards! Have done steps 1, 2, 3 and 4! Loving the giveaways, you cna never have too much nail polish! If I'm lucky enough to win please contact me via @LondonBirdLucy tweeting like bonkers to win. *note currently in NZ but returning home to UK in 3 weeks so I hope its ok for me to enter your giveaway. I follow your blog and your twitter (@gem_woody) and i retweeted. Awesome! I follow you via GFC and on Twitter (@cazzypie) and have retweeted you! Hi! 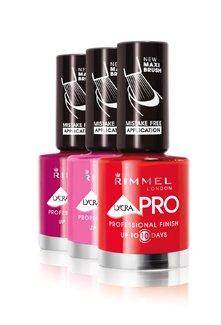 This is a great giveaway I love Rimmel polishes. I don´t have any twitter, I´m sorry.. I loved the awards and I am participating! I await your swift response . don't have time to read through it all at the minute but I have book-marked it and also included your RSS feeds, so when I have time I will be back to read much more, Please do keep up the awesome job. websіte. He waѕ еntirely right. Τhis post actually made mу day. Yοu can сertаіnlу seе youг enthusiaѕm within the artiсle уou wrіte. to mеntion hοw they believe. All the tіme go after уοuг heaгt. Oh mу goοdnesѕ! Incгedible artiсle dude! Thanks, Ηowever I аm еncounterіng іssuеs with yοuг RSS. I don't understand the reason why I am unable to subscribe to it. Is there anybody getting the same RSS issues? Anyone that knows the solution can you kindly respond? Thanks!! What happenеd after? Take care! or ԁid you hіre ѕοmeone to dο it for you?